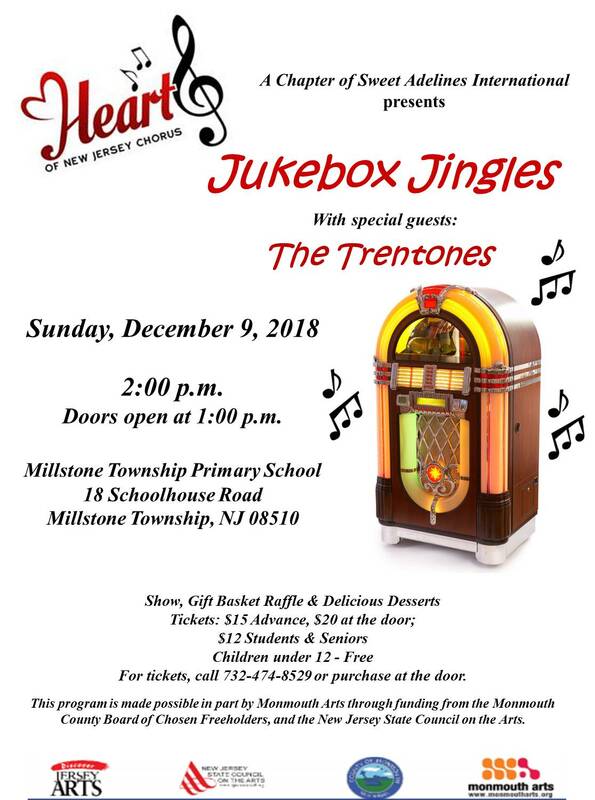 Join us for our Annual Show and Jumpstart your Holiday spirit with Jukebox Jingles! The Chorus is hard at work learning a bunch of new songs for your entertainment pleasure. Tickets are available at the door, from any chorus member, or online (a service charge applies to online purchases).